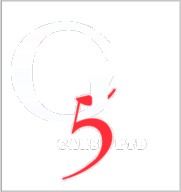 G5 Cars Ltd is a newly established small family run business in the heart of Leicester. Being a family run business we know what it means to have Safety, Trust, & Reliability as this is a big peace of mind not just for all our customers but also for ourselves knowing we are looking out for their best interest and safety. Here at G5 Cars Ltd we specialise in a mixture of German and Japanese vehicles from the larger family 4×4’s, MPV’s to the mid-range and small vehicles providing a wide choice to all our customers. G5 Cars are also a part of the AA Dealer Promise scheme providing you with that extra peace of mind when it counts. G5 Cars Ltd take payments via Credit & Debit Cards, we also offer other payment as well as finance options to suit our customers.